The Alhambra, which opened in 1915, was an early design by C. Howard Crane, for the affluent neighborhood of Boston-Edison. It could seat about 1475 and was originally operated by the Kunsky Theaters circuit. In the late 30s, Cranes firm completely remodeled the Alhambra. 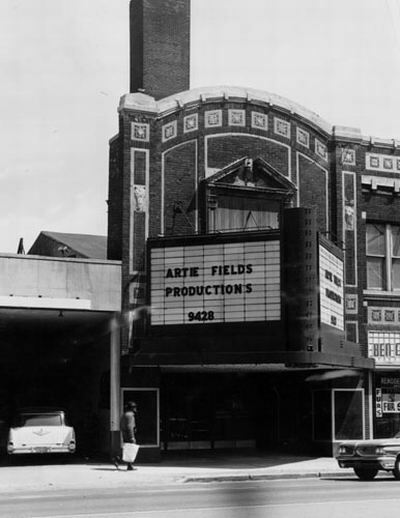 Besides movies, the theater hosted live acts on its stage. Among the celebrities to perfom there was Gypsy Rose Lee. After its days as a movie house ended, the Alhambra was converted into a recording studio in the mid-70s. Cinema Treasures Link.